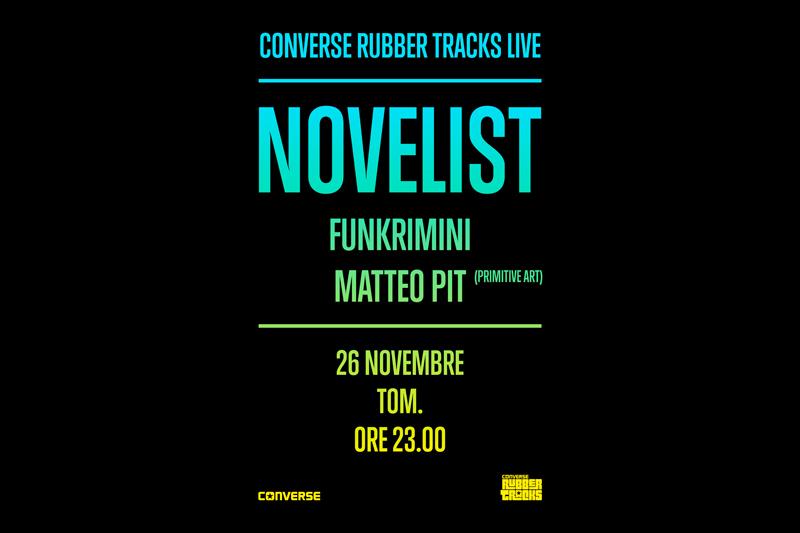 DI RUBBER TRACKS TI ABBIAMO GIÀ PARLATO, È IL PROGETTO DI CONVERSE DEDICATO AI GIOVANI PRODUCER, DURANTE TUTTO IL SUO SVOLGIMENTO HA MESSO A DISPOSIZIONE GIORNATE IN STUDIO GRATUITE, WORKSHOP ED INCONTRI. ADESSO PERÒ È VENUTO IL MOMENTO DI FESTEGGIARE E ANCHE STAVOLTA HANNO DECISO DI FARE LE COSE PER BENE. 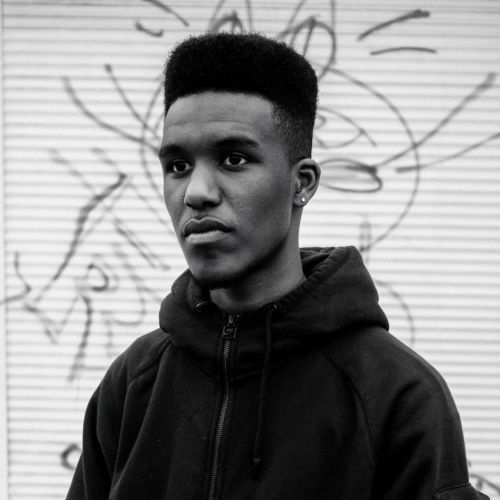 INFATTI GIOVEDÌ 26 NOVEMBRE, AL TOM DI MILANO, VEDREMO AGGRATIS NIENTEPOPÒDIMENO CHE NOVELIST, MC GRIME INGLESE DI APPENA 18 ANNI (C’ERA PURE LUI IN GIRO CON SKEPTA IN AMERICA, GUARDA BENE). ACCOMPAGNATO DALLA BAND SELEZIONATA DURANTE I WORKSHOP RUBBER TRACKS OSSIA I FUNKRIMINI E METÀ DEI PRIMITIVE ART, OVVERO MATTEO PIT. TI LASCIAMO QUALCHE ELEMENTO MUSICALE PER CARICARTI PER BENE.